Spiritual teachers, healers and shamans of the new time dream deep into the waters of all-time to awaken sleeping memories that teach us the stories of the new earth. These stories of future time planes are encoded into the DNA of those who incarnated here at this time to help shift the earth to awakened timelines. In order to activate these codes, soul travelers to this time-frame seeded frequencies designed to trigger awakening of deeper potentials that exist beyond the third dimension. 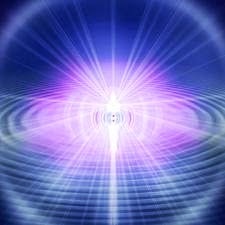 These frequencies guide awakening souls through rites of passage that allow them to peel away third-dimensional veneers that obstruct their ability to gaze deeply into the energetic maze of what we think of as time. Venturing into this maze, we are able to perceive the mile markers of awakening. These markers are a kind of etheric bread crumb trail, perceptible to those whose inner senses are attuned to them. These rites of awakening lead us past energies that would otherwise ensnare our attention. In the world around us there's much to affirm we are small and helpless. There's much to grab our focus and steer our energy into repeating loops that keep us retrograding through past energies. When we see through these and step past them we enter the energetic field of the new time. This field is now expanding as more beings look past the illusion and bring their focus to the inner planes where the new earth is alive and well. Many of you glimpse these realities throughout your waking dreams; at other times you awaken from nightly dreams with images of other times and places fresh inside your imagination. These glimmers are deeper waves of the new time rippling back to our present moment. There are ways you can strengthen your perceptions of these energies. Before bedtime, bring your focus to this energetic field so as you fall asleep your consciousness is guided by intention into the future time planes of the new earth. Inside these time planes you are able to join in consciousness with others to amplify the dream of the new earth. You have been taught that your imagination is the province of fools and dreamers, a tool for escapists seeking release from the difficult realities they have created in the third dimension. Rather, it is just the opposite. 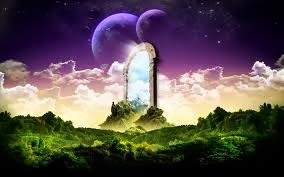 The imagination is a tool to perceive and explore future time planes encoded with the frequencies of the higher realms. Our imagination is our vehicle for exploring these realms and magnetizing them into our energy field. There are those who feel there is no practical reason for bringing these energies into physical reality. There are those who feel threatened by them and seek to stifle access to these doorways of higher perception. These doorways are extensions of our own consciousness. When we step through them we encounter aspects of ourselves we have yet to meet. It is through these encounters that we begin the process of inner unification. When we stand in the power of our spiritual knowing, there is nothing that can separate us from these access points. Once we perceive the vastness of our being, we can never un-see it. Therefore, we can never be limited or controlled by outside forces for long. This is why inner unification is essential. At this point, our main task is to gain unity and consensus among our repertoire of selves. We are in a time-frame when we are able to throw off the shackles of all that has bound us to limiting identities that denied our oneness with our soul and higher self. We are one with source energies but it is difficult to acknowledge this because we have been programmed since birth to remain inside a small place within ourselves. There are those who benefit from keeping souls tethered to the third dimension though we do not need to concern ourselves with this. We can instead focus on how limitations early in life assisted us in developing our consciousness. A limited perspective serves to ground us to physical reality as we gain the experience and spiritual understanding sufficient to awaken our present focus self. Early in life, an expanded vision of ourselves would not have served our growth and need for understanding . As we awakened, we learned to balance limited and expanded perceptions as needed. Now we are able to bring our focus more fully to the higher realms where we are able to interact with and unify with our selves throughout time. As we move further into the new time we awaken to the many facets of our consciousness existing simultaneously throughout time. Once we consciously perceive we are many, we develop a dialogue with our multitude of selves to pool the gifts, talents, skills and knowing we have cultivated throughout the journey of our soul. Our lens of perception expands exponentially as we unite with our selves that exist throughout time. Imagine a single camera trained on only one perspective versus a hundred or a thousand cameras, each offering a unique perspective. This represents the essence of expanded consciousness. Once we achieve oneness with our “selves” we are able to join with others on the inner planes to activate the codes and frequencies of the new earth. The new earth is an energetic framework that exists along the limitless grid created when unified souls awaken to their true identity and join in this revolution of awakening consciousness. When this energetic field of the new time is amplified, it extends outward, engulfing lower frequencies, thought viruses, enslaving time loops and all that has held consciousness to a lower vibration. The new time is gathering energy and extending backwards with energetic waves that have been impacting human consciousness for centuries. As we enter resonance with this energetic field it becomes more solid, more real in our experience. Awakened souls have inner senses able to perceive the golden waves of the new time breaking across the shores of our future horizons.